Manufacturer & Trader of a wide range of products which include Electrical Control Panel such as Reclame Sand Unit Control Panel, HP Control Panels, Electric Control Panel, Tailor Made Control Panel, APFC Control Panels, Electric Generator Control Panels and many more items. 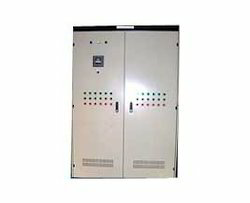 We specialize in optimum quality of control panels and one of our most demanded panel is Switchgear Panels. These panels are engineered using hi-tech machinery and high quality raw materials. We specialize in optimum quality of control panels and one of our most demanded panel is Automatic Transfer Switch Control Panel. Production Capacity: Per Month up to 20 Nos. 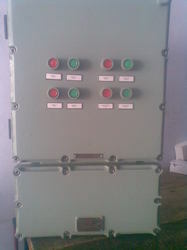 We are Offering High Quality of Flameproof Control Panels in Various Specification for Hazardous Area. 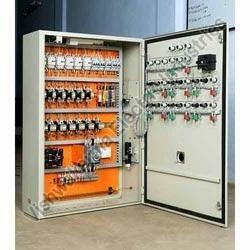 These Flameproof Control Panels are widely known for its durability and quality. 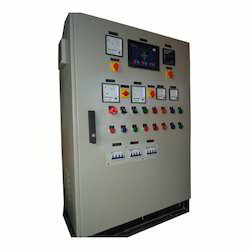 Our Flameproof Control Panels can be availed at industrial leading price. Production Capacity: PER MONTH 10 NOS. We deliver a wide range of Star Delta Starter Electric Panel to our clients. 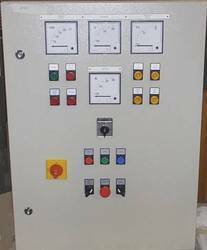 We manufactured a wide range of Electric Generator Control Panels. 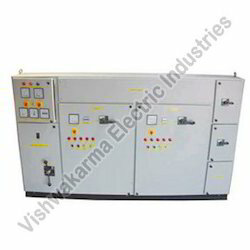 Electric Generator Control Panels are made of best quality of raw material. They are very durable and easy to install. It has robust structure and required low maintenance. We provide high quality and excellent performance to our customers. They are used for various industries like chemical, engineering and automation. These products are well-equipped. We supply these products at very effective prices. We provide DOL and ATS Control Panels that are ease to operate and equipped with a simple control mechanism. These are primarily used for safeguarding machines from hazards, with the help of the unique fault display screen & fault diagnostic systems. Our range of control panels is highly appreciated by numerous reputed organizations established in the domestic and foreign markets. 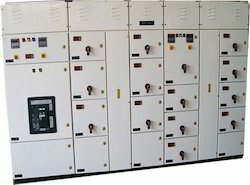 Auto mains failure panels, also known as AMF Control Panels, are used to automatically changeover from mains electricity supply to stand-by generator or genset on failure of the mains supply. When the mains supply is restored, the system automatically changes back and stops the genset. The stand-by generator will be eventually shut down after a short cooling down period. 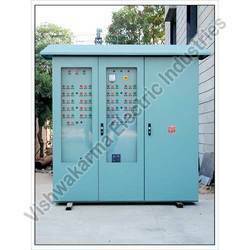 Moreover, we are counted amidst the staggering Automatic Mains Failure Panels Manufacturers in India. 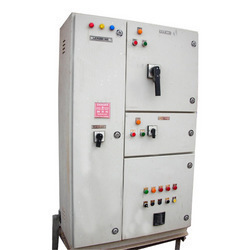 Direct On Line Starters (Industrial), Industrial Automatic Star Delta Starters, AC/DC Drive Panels, Forward/Reverse Panel, Soft Start Control Panel and Forward Reverse Panel are the different types of industrial control panels offered by us. These are available in many standard and custom configurations. The panels are manufactured with attention to every minute detail and we ensure that they deliver unhindered performance for long. We fabricate industrial control panels with highest precision to provide our clients with best perfection and performance. The panels are manufactured to meet the various industrial requirements. 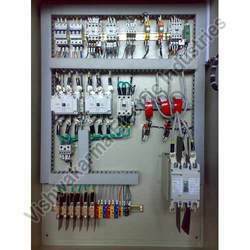 We are one of the leading manufacturers of Mimic Control Panels, which are made from high grade raw metals. We are widely acclaimed for our Mimic Control Panels superior quality and high dimensional accuracy. 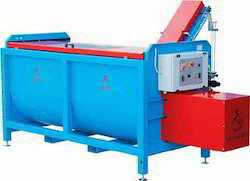 we are manufacturer of control panel for foundry one of them is Control Panel for Mixer Machine. Our Electronic Control Panel state-of-the-art manufacturing unit well equipped with technologically advanced machinery enables us in the smooth fabrication of an exclusive gamut of PLC & SCADA Panels. These are engineered to perfection and are in high demand all across the country. Widely used in various industries for power monitoring and management, these are also customized as per the client’s specifications. 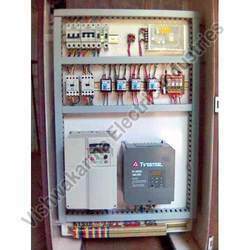 We are supply Customised control panel as per customer require. We are design control panel interfacing with their plant DCS system. we are prectise in all type panel design before manfctureing and all data consider of customer Plant after then design GA drawing, power wiring drawing and control wiring drawing. process controller, indicator, annumciator, alarm, measuring instrument supply with control panel as per custemor reuqire. we are suppliy IP 54, IP 55 Enclsoure as per custemor require We are supply and export with custemor their equipment control panel Refinery, Power Projects, Boiler Industries, Food Industries and Construction equipement.